Interviewers may handle many candidate interviews. To recruit a candidate for a desired position in an organization, one must observe many factors in a candidate. The interview is a crucial part for both organization and an individual. So it is a big task for an interviewer. Organize yourself before the interview to make it successful. The interviewer’s attitude in interview represents the organization. Understand the skill sets, qualifications that is expected from the relevant department and screen the candidates. 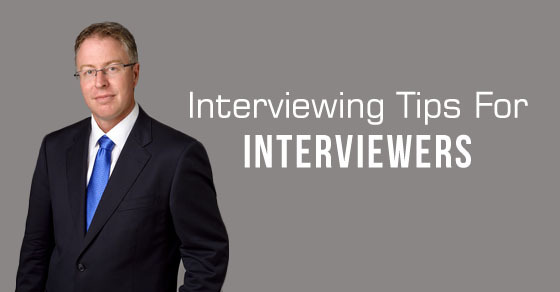 Here are a few tips for interviewers on how to conduct interviews. There are different levels of interviews where a candidate applying for a position might go through. These different phases of interviews helps a candidate to be more aware of all the expectation of a company or the interviewer. Therefore, it is necessary to understand that most of the interviewers display a face where they try to intimidate the candidate and to make sure that a candidate falls for that trap, these are the necessary steps to follow. Understand the job position very clearly so that you can make note of all the skills required for that vacancy. Then find the source to find out job seekers. Make a list of all that skills and start screening candidates. With just a short description of job requirements send out an email or post it in a job seekers website or a paper advertisement. They can even approach a consultancy or agency to hunt the candidates. As per the company norms, arrange a venue for an interview and do not forget to mention the venue and time for the interview while sending out an email to the candidate. Make necessary arrangements for the interview as per the nature of job. Discuss with the related department managers and understand what rounds are to be conducted to select the candidates. Thus prepare necessary question papers/online questions for interview. Collect the resume from all the applicants. As per the job requirements and skills, go through the resume and filter the candidates accordingly. Then it will be easy to fill the number of vacancies who are eligible. You can prepare the list of candidates who attended the interview and can use this data for further processing. Also make note of references related to that candidate. As per the candidate experience and skills the employer can estimate the salary. Along with candidate qualifications, employers need to observe the candidate behavior and attitude of job seekers. He/she should be able to fit in your organization, make note whether he/she can survive with your company work culture. Also ask questions related to work stress and how would one handle in case of crisis, this will hint the employer how that candidate is best to occupy the position. It is necessary for an employer to be active and maintain eye contact with the candidate while speaking. Your behavior reflects the company reputation, so be careful while facing the applicants. Do not be impatient with candidates and try to worry them with your serious looks. Be normal and give a smile and a handshake or just wish them when you meet them for the first time. Make yourself comfortable and also help candidates to be comfortable with the environment. You may face many candidates, but handle each and everyone with a same pleasant smile. It is necessary for you to be responsible for the company to get the right candidates. Let them understand how interesting it is to work with your organization. It is not like just conducting interview for name sake, so figure out the candidates whether they are excited and showing enthusiasm to work, ask questions related to their stability like how long they are going to sustain if provided the opportunity, whether they could perform well and strive hard for the company. Make note of all these points. It is necessary to manage timer. Do not make a lengthy interview process, it is fair to give a chance to every applicant to show up in the interview. Give opportunity to prove themselves in the interview. So just make sure your interview process should be just right enough to access the candidates. Do not waste with questions not relevant to the job. Do not ask questions about personal matters which has nothing to do with the job vacancy. Do not talk too much, just make it sweet and short. After each and every round, make note of the points that are answered by the applicant, which may be useful to know whether the candidate is eligible for the next round or not. Many candidates come for an interview. So it is not possible to remember each and every member. This simplifies your process. You can even prepare a sheet where you can allot marks for each candidate in every round. Also note the points which can be negotiated with the applicant at the end of the interview. It is hard for one person to manage everything. Ask help from your manager to assist someone else along with you in the interview process. It is tiring for a person to take up different tasks involved in the process. One can relax after some time while the other can continue in his/her place. Also ask to arrange appointment with department managers related to their new hiring. After the basic HR process is done, they could take up the interview and select their desired candidates suitable. You can segregate work and complete the process within no time. While accessing the candidates, you can give feedback to them. Whether it is a positive or negative let them know it. If it is positive they would continue with the same potential and feel comfortable with the next round. If it is negative this would help them to take up next challenging interviews, where they can have a chance to correct their errors. The applicants expect the results along with comments, so give them feasible explanation. It helps you to maintain good relation with them. Most of the candidate experiences nervousness during an interview and that’s because of the interviewer who is creating an unhealthy zone for the candidate. If an interviewer needs to understand the candidate more than instead of scaring them off, he / she needs to analyze their candidate first. There is a possibility that the candidate who have appeared for the interview might be a honest hard working person who is trying to see growth in his / her professional life. And because of such unhealthy zones of the interviews he / she might end up being rude during the interview sessions. Sometimes it happens that a company would fake display their company profile as one of the profitable company to attract experienced and skilled workers in the company. It is even possible that they might mislead the candidates with fake promises and fake benefits and many more, for example, if a company presents their company profile as one of the best company to work with then it is possible that the candidate would like to work in such company because of their fake profile display. It is one of the main parts of the interviewing process when a person who have been selected needs to know about. For example, if a person attended an interview and the company who selected the person would come up with certain contracts or bonds to make that the candidate would never quit their job suddenly. And even if a person or the candidate decides to leave the company he / she might think of a contract they signed before joining the position because there may be a possibility of a chance of getting out of that particular job. Most of the employers who conduct an interview probably will be very rude. When a candidate attends an interview, he / she might think that it will go accordingly as they have thought about it. But there is a possibility that a person might end up being criticized by the employer. By such kind of acts of criticism, it is clear to all the candidates that the employer is being very rude during the time of the interview and this may create a bad image of the company in the minds of common people or some candidates. A recruiter can follow below steps and can complete hiring process in a smart way. All one has to remember is time management, and get the right candidate for a particular position. Analyze their skills and abilities to fit in the position. Prepare final list according to it.